Jane has been the Director since 2002 and provides the strategic operational direction of AMW. Over the years, Jane has overseen the expansion of a number of specialist advocacy services. Jane is proud that AMW is a recognised leader as a provider of high quality advocacy services and the first advocacy organisation to be awarded the Advocacy Quality Performance Mark (QPM) in Wales. 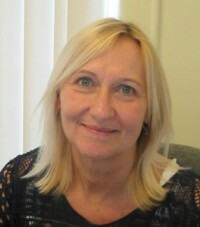 Angela has been working for Advocacy Matters Wales since April 2007. Her job is to provide administrative assistance and support to the Director, Operations Manager, Advocates, Taking Part Worker and Service Users. Angela is delighted to be part of the Advocacy Matters Wales team. Oz began working with adults with disabilities as a volunteer in the early 90's. For over 25 years he has endeavoured to promote peoples rights and choices, working professionally in many different roles. For 4 years he was an independent advocate at AMW, attaining the post of Operations Manager in April 2011. Oz's role is to manage and support the staff team and to ensure the charity continues to deliver excellent service provision for its clients. 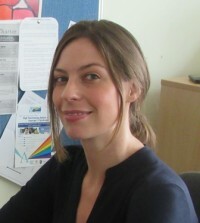 Emma joined Advocacy Matters Wales in 2010 and works as a Professional Advocate, advocating for the rights and choices of our service users. Hayley joined AMW in 2010 with twenty years experience working with Cardiff Council Social Services Department, Age Concern Advocacy and Advocacy Action Wales. She currently works part-time providing professional advocacy, parents advocacy, as well as advocacy to clients in an independent hospital. Hayley likes her work and the people she works with. Angela joined the team at Advocacy Matters (Wales) in November 2014. Before that she worked for 14 1/2 years in a Law Centre where she held a front line role providing information, advice and support to service users, many of whom may otherwise have had no means of asserting their rights. Angela believes it is very important that everyone should have an opportunity for their voices to be heard and for their opinions to be taken into account and gains a great deal of satisfaction when a positive outcome is achieved as a result of her support. I joined Advocacy Matters Wales in November 2015. I have worked with adults with Learning Disabilities and Autistic Spectrum Disorder for 10 years for the National Autistic Society, and the Learning Disabilities Service and Speech and Language Therapy Department at a local health board. I am passionate about promoting choice and enabling empowerment through advocacy. I am excited to be part of the team. Jo joined Advocacy Matters Wales in 2011 and works with our Service User Group, ensuring that they are able to contribute and participate in all aspects of the organisations work. Jo has worked in research for many years, working at S4C, BBC Wales, and more recently as a freelancer. Her work has involved moderating focus groups and facilitating workshops with people from a variety of backgrounds. Janina has volunteered and worked with lots of different charities for nearly 40 years. The types of groups she has worked with include wildlife conservation, mental health, disability, play, art and crafts and friendship groups. 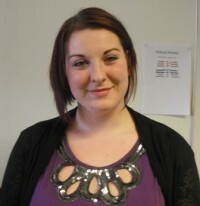 Janina works with the Service User Group helping them to contribute and take part in all aspects of Advocacy Matters. Hello I am Lisa and I joined Advocacy Matters Wales in October 2014 as the office cleaner. I really enjoy my job as I love cleaning. I gained experience cleaning when I worked for a friends Dad. I like to take on new challenges. I am a helpful person. I like to make my friends happy and like to put a smile of people's faces. I am a good listener, I like to chill out with my friends and watch soaps and listen to music.